Place a large saucepan over high heat. Add the laksa paste and cook, stirring frequently, for 2 minutes or until fragrant. Add the pumpkin, coconut milk and water, cover with a lid and bring to the boil. Remove the lid, reduce the heat to medium, and cook for 5–6 minutes or until the pumpkin is tender. Add the prawns, fish sauce and lime juice and cook for 2–3 minutes or until the prawns are just cooked through. Add the noodles and stir to warm through. 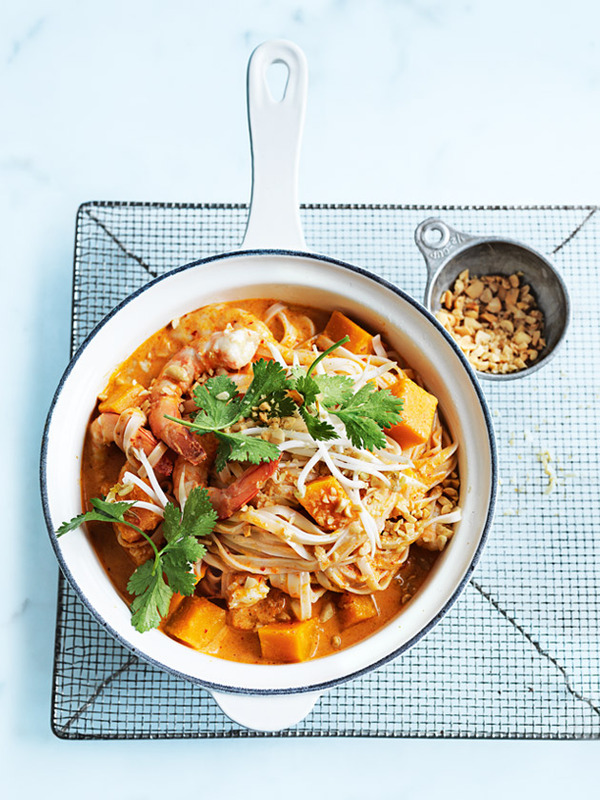 Divide the laksa between serving bowls and top with the bean sprouts, coriander leaves and peanut to serve. Serves 4.